Villa Vigneto Texas is pleased to host two days of learning and growth for both corporate teams as well as individuals on Saturday, April 27 and Sunday, April 28. Facilitated by Jess Lowry of Exploration x Design, participants will learn how to use design thinking as a way of creating new pathways to innovative solutions. 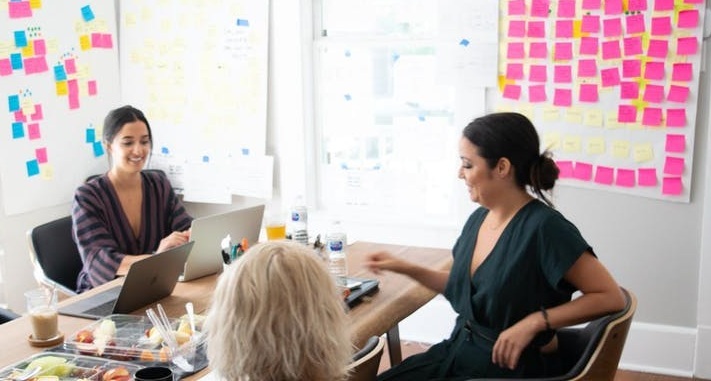 Whether these are solutions for a team grappling with changing old, tired processes that inhibit creative collaboration or solutions for your very individual life journey that begs to be refreshed and renewed. Please share…. corral your team or a friend, and join us. There’s no better time to open your mind to a new way of thinking than in the Spring among the Bluebonnets and at Villa Vigneto Texas!! Does your team need a break from business as usual? Teams get so focused on delivering that sometimes they don’t spend the time needed to work on internal processes. You will leave with alignment of where you are right now, new methods for creative collaboration, new approaches to designing solutions, insights on how to prioritize, and possible future paths for your business. I’d like to say that being a lemon farmer is a lonely and boring job, but in fact it is quite fun so long as you delight as I do, in the unfolding of tiny little blossoms that sprout tiny lemon buds…… and the patience to watch them grow into lovely tart yet sweet, beautiful lemons. As each guest arrives, part of the welcome tour includes a short walk to the yard where the lemon trees reside; the place they live year round now that their pots are too heavy and too big to move anywhere! This year, we harvested around 150 lemons from our two trees that are now about 12 years old. Enough to make many little bottles of our organic Lemoncello that I happily give to friends, family, and of course, my wonderful guests as a remembrance of their stay at Villa Vigneto Texas. Our partner in our Lemoncello endeavors is Dripping Springs Vodka, the only American Vodka a few years back to have won the Vodka Purity Trophy at the International Wine and Spirit competition. It is the smoothest vodka around and perfect to blend with the fruity flavors of mandarin orange and standard lemon which creates the signature taste of a Meyer lemon. So for those of you who have stayed with us before and have seen the lemons in the making, it’s time to come back and enjoy our Villa Vigneto Lemoncello! Or, if you’ve just discovered us, consider a trip to enjoy this special place and you’ll get to see next season’s buds just starting to blossom. But hurry, our seasonal Lemoncello supply is going fast! Please join us for a very special week at Villa Vigneto Texas! 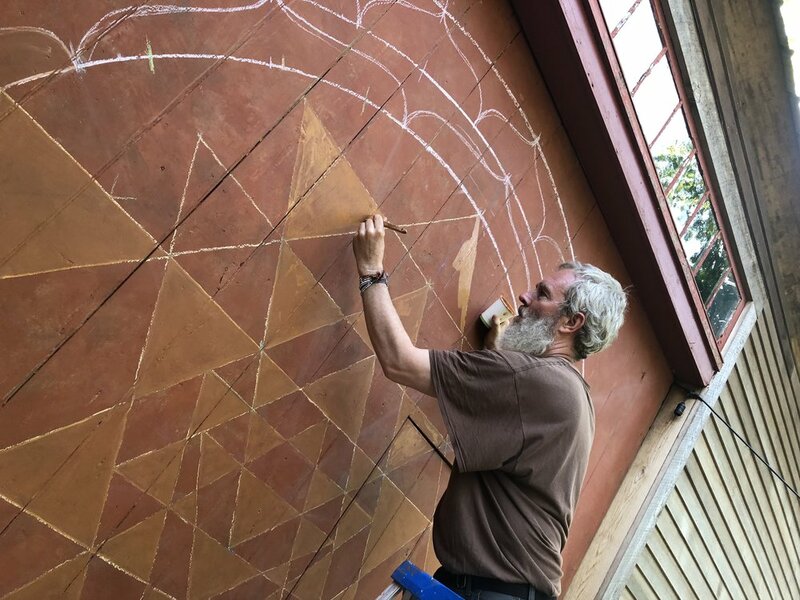 Sean Kramer, accomplished Artist and Iconographer will lead our week-long series where Contemplative and Sacred Art instruction, meditation, and the quiet of nature come together under the oaks in the beautiful Hill Country setting of Villa Vigneto Texas. No art experience or skill required, just the desire to take "a little pause in life" to express your creative and spiritual heart! Learn about the symbolism and practice of Yantra making, an ancient art used in meditation and worship. You will design and create your own Yantra to enhance your meditation practice. A workshop of intuitive art making and meditation; a contemplative practice and process of creating art from your intuitive heart-mind. Drawing from the medieval traditions of egg-tempera panel painting and icon painting, each day will consist of time creating your Sacred Art masterpiece using the geometry of the human face, gold leaf gilding, and making our own paints. There will also be time for meditation, practice and contemplation. All workshops includes art supplies, morning and afternoon beverages, snacks, and lunch. The Sacred Art Workshop/Retreat will include a dinner-on-your-own group excursion to Dripping springs or Wimberley and a return to the Villa for a nightly treat at the Firepot if staying at our BnB. Overnight accommodations for the Sacred Art Workshop are available for an additional $100 per person for 2 nights for either single or double occupancy and include a shared bath. Please call for details on accommodations. To make a reservation for one of the Workshops, please call Suzin at Villa Vigneto Texas at 512-270-8186 or email ciao@villavignetotexas.com. A workshop deposit of $50.00 by credit card is required for the one day workshops and a deposit of $200.00 is required for the three day workshop as well as full payment for any overnight accommodations at the time of reservation. Full payment is due for all workshops by credit card at least 48 hours prior to arrival. Cancellations with full refund is available up to 2 weeks in advance, after that deposits and any payment for accommodations are non-refundable. Our house masseuse, Sharon Clark is also available for individual massage with aromatherapy during your visit. Call for details and pricing. We hope you will join us for either some or all of this special week at Villa Vigneto Texas. The workshops will be limited to a small group to ensure adequate one-on-one art instruction is provided. So make your reservation soon! We look forward to hearing from you and please call or email if you have any questions, thanks! Since the dog days of Summer are upon us here in Texas, it is refreshing to remember the beauty of our Spring.....the cooler mornings, the robustness of our wildflowers and the floral smell of new buds on the lemon tree. The small bed of lavender we have on the property was in full bloom and it was stunning in the evening light. The most joyous part of Spring as it moves into Summer is the birth of our baby deer. Villa Vigneto Texas has become a safe haven for these little ones as we had 3, then 4 and up to 5 being born right before our eyes! Our flowering cactus sat majestically on the front stoop and I dared any deer to take a bite! What a pleasant surprise when they heeded my glare and allowed it to cycle through its full bloom. So since we get a little warm here in the Hill Country as we roll into Summer, we'll garden a little earlier and find a shady spot to "sit for a spell", then with a cold glass of iced tea in our hand.... we reminisce of our lovely Spring. It is wonderful how gift giving and receiving changes throughout your life. As young children, we look for packages wrapped in Christmas paper under the tree. But as we get older, Christmas gifts that are non-traditional and cause us to be inspired or open new windows in our world can bring tremendous joy. Two artists from New Hampshire provided me such a gift through their unexpected visit recently and for that, I am thankful to them. Amanda Sisk and Sean Kramer had come to Dripping Springs to give a talk at New Life Lutheran Church about their work and their church community. They found their way to Villa Vigneto Texas for an overnight respite after their travels and hours of work on a sculpture commission at the Padre Island National Seashore. Amanda, an Artist, Sculptor, and Founder of AtelierSisk and Sean, an Artist of religious icon paintings and beautiful frescoes, brought their gentle spirits and shared with me their love of art and the journey of their artistic endeavors. It was a wonderful visit as we talked about the art that inspires us and the desire to share it with others. As my thanks, I would like to share the beauty of their talents with our "Friends of Villa Vigneto Texas". Please see their fine work at www.ateliersisk.com and seandominickramer.com for viewing or purchase and maybe one day they will return to give a talk or teach their craft to others! A Blessed Christmas to all who have visited Villa Vigneto Texas this year. May your journey through 2018 be filled with Good Health and a Happy Heart. Spring Has Sprung at Villa Vigneto Texas! Moments like this make us realize how lovely nature is as it renews itself whether as fauna or flower. And, we feel blessed to be the caretakers of this small parcel of earth called Villa Vigneto Texas. A place where the wildlife feel safe enough to nest and birth their babies, yet close enough for us to enjoy them, quietly. In June, we will see our deer babies arrive so we hope you'll come see us and enjoy our wildlife babies as they explore their new home. Our beloved Texas Bluebonnets surrounding the front gate at Villa Vigneto Texas made an early appearance this year due to the good Fall rains and warm winter. We are glad to see them anytime they decide to arrive as it marks the start of the most beautiful time of year in The Hill Country. With each new year, more Bluebonnets arrive as they drop their seeds easily and embed themselves in the soil by the end of May to get ready for the following Spring. Another sign of Spring we are enjoying is the birth of new wildlife. While taking an Easter Sunday stroll on the trails, one of our visitors exclaimed, "A Baby Rabbit!" We thought this was a joke: A real Easter Bunny on Easter Sunday??? A quick look down and there in the grass was the tiniest little bunny we had ever seen. Eyes wide open, curled up as small as he could be, and oh so still. We didn't dare get too close or touch him for fear his mama might abandon him, so we took a few pictures on zoom and quietly walked away. 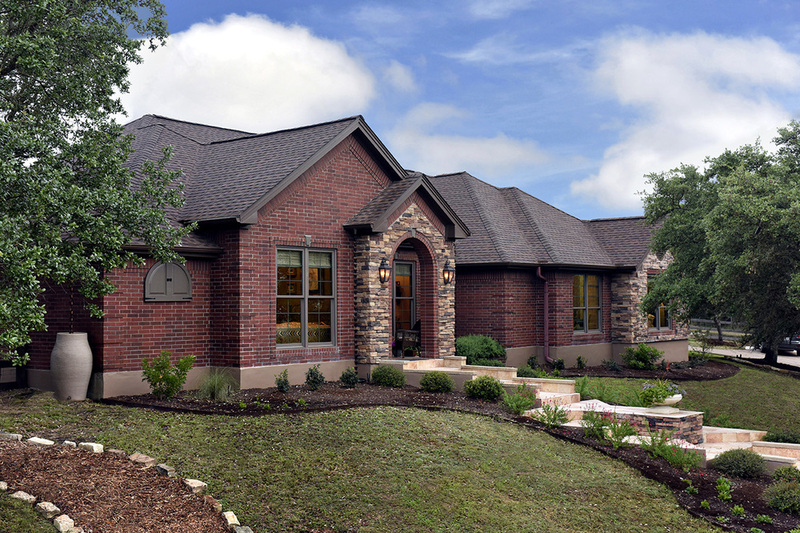 Villa Vigneto Texas has long heard the sound of music playing within its walls, but now with the landscaping of the property complete, we are enjoying music throughout the grounds. In April of this year we heard two-time Grammy nominated folk artist Eliza Gilkyson and guitar virtuoso, Jon Inman play in the Oak Grove for our Opening Launch Party. They were joined by violinist Ian Stewart and were all just stellar. More recently, Daryl Eason, Saxaphonist Extraordinaire played for a private party in the Courtyard Trellis. Not sure whether it was the beautiful Fall evening, the dramatic lights of the Courtyard Trellis, the firepot glowing in the eves or just Daryl's gift wafting through the air, but when music is made at Villa Vigneto Texas it seems to open your heart, relax your mind, and soften the memory of a stressful day. If you enjoy music as much as we do, go to our Facebook page and listen to the video of the sweet sounds of sax on the post "A Night of Great SAX". It will be a moment to sit back in your chair and let your shoulders relax......ENJOY! When one of my guests advised that he was a former New Yorker raised in an Italian neighborhood, I just had to give our continental breakfast that morning a little Italian flair. What better way to do that than with some prosciutto wrapped around the honeydew! Prosciutto is an Italian dry-cured ham that is usually thinly sliced. It is often served as an antipasto or accompanied with melon for that delicious sweet/salty combination. For just a couple of dollars, you can go to the deli counter and ask for a few slices of prosciutto rather than buy the more costly pre-packaged slices. Because it is a cured meat, a little goes a long way. With a little fruit added to the plate for color, my guests arrived to their table Sunday morning with something that looked lovingly prepared just for them......because it was! Thank you my dear guests, for reminding me that with a little prosciutto on the table, we transport our taste buds to Italia. As mentioned in the last post, the fondness we have for our lemon trees has expanded to the making of a favorite Italian liqueur ~ Lemoncello! Any European Style Country House worth its salt must have a signature liqueur, so we now produce: Villa Vigneto Lemoncello. What else should one do with 64 lemons coming off of one tree and another 64 blossoms about to pop, ready to morph into beautiful lemons? Make Lemoncello......and so we did! The little 5 oz. bottles we make of Villa Vigneto Lemoncello have graced our guest rooms as gifts and make a fabulous surprise in a Christmas basket arranged with lemon cookies and other lemon-y delights. The recipe comes from my “Hero of Home Renovation” and the “Bard of Tuscany” as the New York Times calls her; the author of the best-selling book, Under The Tuscan Sun, Frances Mayes. Peel the lemons, leaving a little pith attached to the peel. Reserve the lemons for another use. Put the peels and alcohol in a large sterilized jar with a lid. Close it tightly and leave it in a cool place for four to seven days. Gently shake it a couple of times a day. The peels will lose their brilliant yellow color. On the fifth day, or later, in a large saucepan, heat the sugar and water almost to the boiling point but not quite. Reduce the heat, and simmer and stir for 5 minutes. Allow the syrup to cool. Strain the lemon-scented alcohol through gauze or a strainer into the sugar syrup. Discard the peels. Whisk the mixture well and pour into 4 sterilized pint bottles. Let the lemoncello sit for two days. Later, you can store it indefinitely in the freezer, so it will be frosty-cold when you serve it in small glasses. Our bottling production line......a labor of love! Should you decide to try your hand at making lemoncello, don't let these photos scare you. Frances' recipe was doubled in these pictures in preparation for the Villa Vigneto Texas Launch Party in April, 2016. As with most things I enjoy, I always want more to share and I'm sure you will also once you try it. A frosty cold bottle of lemoncello and as the label says, "Harvested and Handcrafted from The Tiniest Little Orchard at Villa Vigneto"
When Life Gives You Lemons.......Make Lemoncello! One of the pleasures of the climate in this part of the country is that it is similar to the climate of Italy where olives, lavender and citrus can grow well with proper care. When my son was a little boy, he decided we needed a few lemon and lime trees after spotting them at local nursery. Having seen them grow in humongous pots at a beautiful villa in Italy, I had to agree, we needed to try our hand at this despite his mother not having a green thumb. Over the years and much to my surprise, my two lemon trees and one lime tree have become my pride and joy and the only “hobby” I can claim due to a hectic work life. Certain traditions have been established at Villa Vigneto Texas to include the giving of the “The Bull” (the biggest lemon...synonymous with “The Bull” of a litter) to a dear friend each year as a birthday gift. We tie a ribbon around The Bull and whoever is the lucky birthday person that year cuts the largest lemon off its limb to take home as a gift, marking the start of the lemon harvest. After the harvest, the lemons will get packed in cellophane bags tied with ribbon and fresh lemon leaves or boxed with a straw bedding and shipped across the US to dear friends and family. While our 7-year drought sometimes hindered the size of our lemons, oftentimes the harvest completely fills a picnic basket! A portion of the harvest from one tree! When you stay at Villa Vigneto Texas and as you enter the Trellis Courtyard, look to the left and you will see our lemon and lime trees. Or, you may see them in their portable greenhouse (that they love) in the winter. If they are blooming, be sure to put your nose up to the blossom and take a big sniff….it is the most delightful, light, and lovely smell you can imagine. In my next post, I step up my love of lemons and try my hand at Lemoncello liqueur....yum! We hope you like deer! A trip to the Texas Hill Country, no matter the time of year is always filled with wonderful wildlife to enjoy: Rabbits, Roadrunners, Jackalopes (just kidding, old Texas joke), and deer..... and more deer...... and did I mention deer? Considered one of the most densely populated areas of white tail deer in the country, Central Texas boasts greater than 45 deer per square mile according to the Quality Deer Management Association (QDMA). That means you get to be up front and personal with white tail deer around and on the property of Villa Vigneto Texas. It is actually a delight to live around so many deer and amazing that you come to recognize the same bucks and does that can hang out for months! While the one downside of living with deer is their prolific desire to eat any sort of vegetation (aka landscaping), the upside outweighs the down as the babies start birthing in June. It is not unusual for Villa Vigneto to have twins born in the yard and it is wonderful that they stay in the yard for several months so you can watch them grow. This year, a particular "Momma" was a little more than curious about my white furry friend Toby. Here you see how she comes to the window as if to say, "What is that????!!!" Momma Deer peering in at little Toby and Toby peering back! So, welcome to the Deer Country of Texas! While they won't get close enough for you to pet, they do get close enough to enjoy their beautiful brown eyes and precious little "Bambies". A logo is a stamp, it's a way to brand who you are and what you represent. In designing the Villa Vigneto Texas logo, we thought it was important that the logo have meaning, something special and unique to this home. We found that meaning in the Garden Gate. Imported from France, the Garden Gate was found at Discovery Architectural Antiques in Gonzales, Texas. The center of the gate has a very old grate, a beautiful piece of ironwork that allows the visitor to peak into the Trellis Courtyard and enjoy the view. We hope you will come and visit Villa Vigneto and see the Garden Gate. It is one of the pleasures of the Trellis Courtyard, a place to enter and exit as you take your morning walk or evening stroll around the property. Launch a Website, Unveil A Dream! Sixteen years ago, when we first set eyes on this home and 3 acre parcel of Hill Country, we saw a home that had seen better days. While most who toured the home couldn't get past the incredible stench left by 20 dogs being raised in the home, we saw huge possibilities. The lay of the land, the view, and the good bones of the home itself told us we had found the perfect "fixer upper". Little did we know it would be 16 years before the final touches were complete. To say that Villa Vigneto Texas has been a labor of love or a medium for creativity would be an understatement. For anyone who has renovated a home to any great extent, you understand the joys and horrors involved in home renovation. Yet, you continue as if you had never seen the movie, "The Money Pit" in order to make your ugly duckling turn into the beautiful swan you envisioned. So, it is with great pleasure that we launch Villa Vigneto Texas after all these years. It has become a home that seems as if it was meant to be shared all along. A place that brings friends and families together to create long lasting memories. We hope you enjoy your stay as much as we have enjoyed crafting it into a space where rest, relaxation, and good times is part of the journey for those who come to visit.